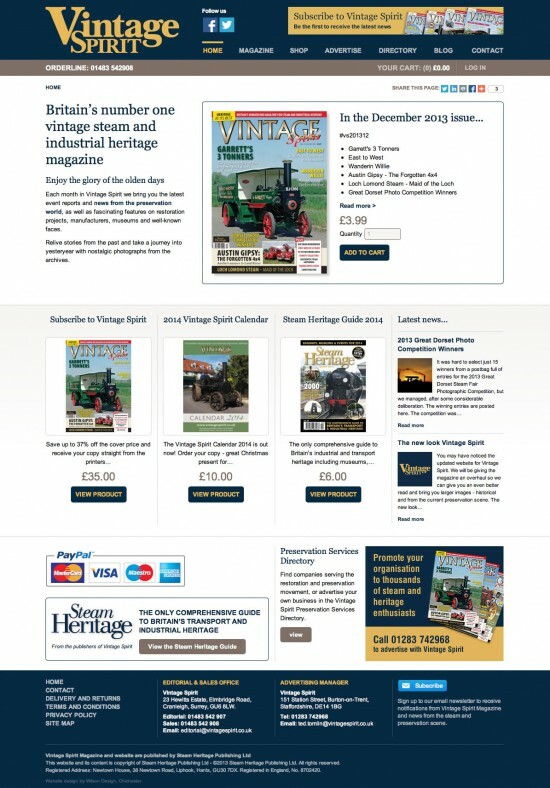 Buy the latest issue of Vintage Spirit magazine or subscribe or order back issues at the new online shop. The new Vintage Spirit website was recently launched with a full redesign and new online shop. It's now easy to purchase the latest issue of Britain's number one steam and industrial heritage magazine, browse through all the back issues or take out a subscription online. It's also easy to place your free classified adverts online for inclusion in the magazine. Just go to the classifieds form and fill in your advert details. You can also browse the site on your tablet or mobile so you can take Vintage Spirit with you when you're out and about!